Real Madrid captain Sergio Ramos scored a new record in La Liga history. The Spanish star made a new record of field abandonment by field referee at the top 19 times in La Liga by getting a red card with a goal drawn in Athletic Bilbao. The 31-year-old Ramos left the field after receiving the second yellow card in the 86th minute of the match against Ariz Adrianz with an elbow. Ramos, the second time in this season, got the red card for the second time. 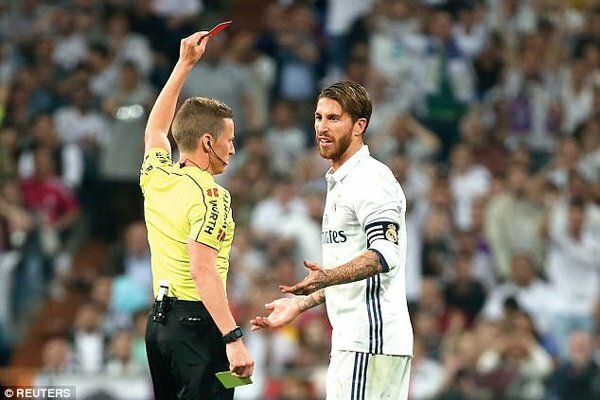 By receiving red cards through Ramos, former Barcelona and Sevier defender Pablo Alfaro and Real Zagroso legend Xavi Aguado were overwhelmed. Bad Player In The World. New record for the red card. This is the position of Real Madrid captain.